Jeans made properly. Crafted out of a premium raw selvedge denim. 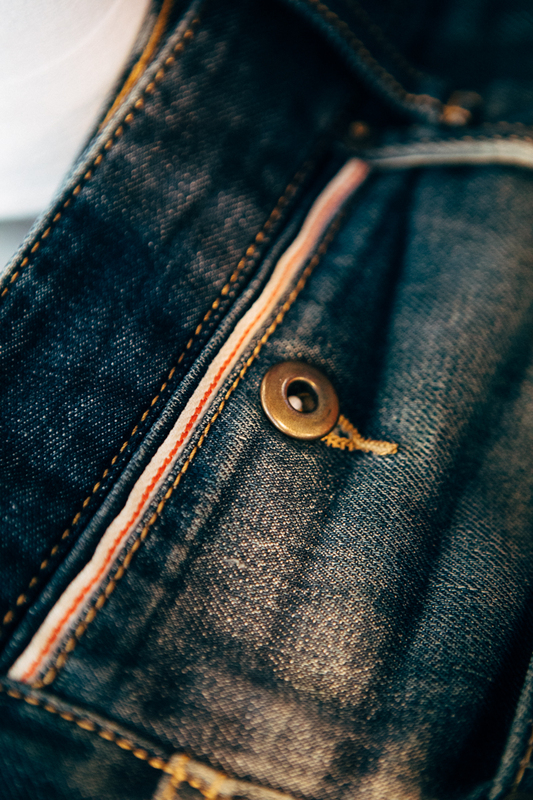 Our jeans are chain stitched, posted, riveted and bartacked in all the right places with the utmost attention paid to fit, fabric and construction. Real and Simple. Slim fit. Slight taper. Five pocket jean. 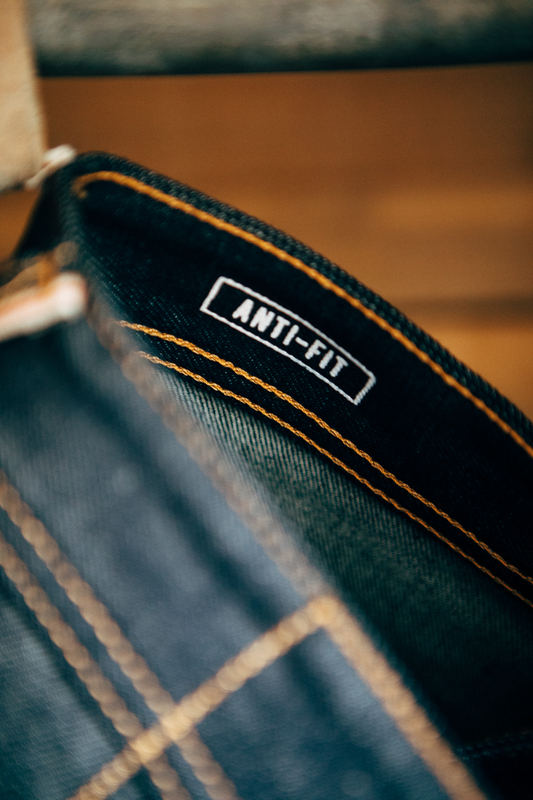 Crafted from premium selvedge denim. Sourced from ISKO in Turkey. Our core focus is on fit, construction, and fabric. No frills, no fuss. Real and Simple. Button fly. Bar-tacked stress points for extra strength, and chain stitched hems. Pockets are extra deep and constructed out of a premium cotton twill. Our signature selvedge edged v belt loop, selvedge edged button closed coin pocket and minimal branding round off this great pair of jeans. Wider across the thigh, slight dropped crotch and taper down onto the ankle, crafted from premium selvedge denim. Sourced from ISKO in Turkey. Button fly. Bar-tacked stress points for extra strength, and chain stitched hems. Pockets are extra deep and constructed out of a premium cotton twill. Our signature selvedge edged v belt loop, selvedge edged inset pocket and minimal branding round off this great pair of jeans.